Think back to the last time you took an Advil for a headache. Most likely, you took it with a glass of water and lay down. Then you waited and embraced its healing magic. PharmaPendium aids pharmaceutical researchers in drug development by giving them access to critical information, including drug safety data from the FDA. (Pharmapendium® and the Pharmapendium® trademark are owned and protected by Reed Elsevier Properties SA. All rights reserved.) [/note] PharmaPendium's new Metabolizing Enzymes and Transporters module, released on Friday, meets a crucial need for drug companies by enabling researchers to explore potential adverse reactions during critical stages. But before showing you how, let's look at how a drug is made. There are three main stages of drug development: discovery, preclinical and clinical. Put simply, discovery is formulating chemical compounds in a lab, preclinical is testing the chemicals on animal cells or living organisms, and clinical is testing drugs on people. During these three stages, researchers at pharmaceutical companies consider three main factors: effectiveness, safety and deliverability. Will the drug cure anything? Is it harmful? How will the body digest, metabolize and excrete it? These three factors are part of a delicate equation. A cancer drug may be more lenient on safety since the alternative is no healing at all. But if you're curing a simple headache, the drug shouldn't require a syringe, and it better be pretty darn safe. Even beyond the science, researchers have to assess drugs from a business and regulatory perspective. Is the drug safe enough compared to our competitors'? Is it something that is possible to mass produce at a reasonable cost? Will the drug be approved by a governing body, like the US Food and Drug Administration (FDA) or the European Medicines Agency? Imagine the longest, most convoluted pros and cons list you could possibly write, and it might be comparable to what a pharmaceutical researcher's notebook looks like. In a given year, thousands of compounds will be tested in the discovery stage, a few hundred will be tested on animals, and only a handful will qualify for testing on humans. And if a drug fails at the clinical stage, it's a catastrophe. A pharmaceutical company will have already spent hundreds of millions on its development. So naturally, researchers want to make better predictions — before preclinical and clinical trials — about which drugs will make it to market and which won't. The best way to do this is to study previously developed drugs. Think about it: if you're trying to develop a drug that treats high blood pressure, it would be immensely helpful to study similar drugs, which compounds were used, how effective the drugs were, and how well they did in preclinical and clinical testing. "Pharmaceutical researchers have traditionally worked in a vacuum," said Phil MacLaughlin, Director of Product Development at Elsevier. "They generate tons of their own data, but they haven't had good comparative data." Researchers in the past searched through FDA drug reviews to study previously approved drugs and their properties. The problem was that the data was all in print and on an outdated format called microfiche. It wasn't searchable and it wasn't broken down into metadata. They had to read each report one by one. Without comparative data, it's almost impossible for researchers to predict what might happen during testing. "The information isn't really new, since it has technically been available," said Liz Griffioen, Senior Marketing Communications Manager for PharmaBiotech at Elsevier. "But the ability to find bits and pieces of data on several documents at the same time is crucial." All of a sudden, subscribers to PharmaPendium could, among other things, read about every drug with a certain chemical compound and see how each performed in animal testing. They could make a good guess as to whether the drug they were developing had a chance at being approved for wide distribution. The idea behind the product was to help pharmaceutical companies "make informed drug development decisions." "The return on investment for them, sometimes, is just knowing when to stop pursuing a drug," said Meeuwis van Arkel, VP of the Product Development at Elsevier. "The amount of money and time they save is enormous." The first editions of PharmaPendium offered the ability to search chemical information, safety information and regulatory results. 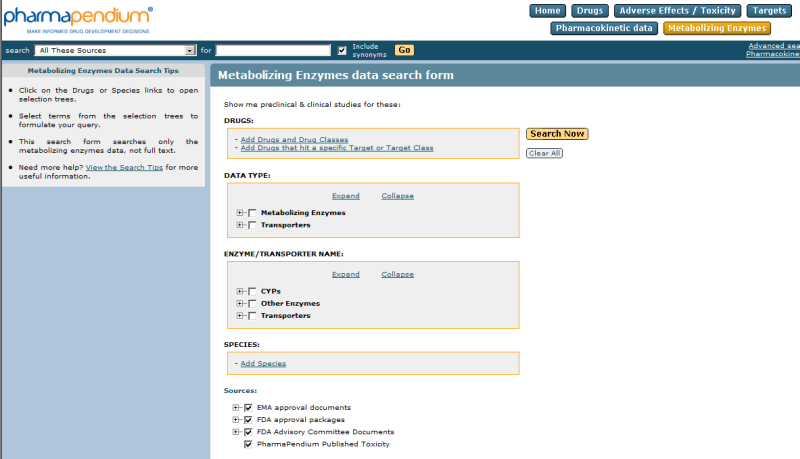 The Metabolizing Enzymes and Transporters Module, released on Friday, is the latest piece in the puzzle. "Identifying the potential interactions that impact the efficacy and safety of a drug is a significant challenge," said Maclaughlin. "Even during the clinical stage, it can be difficult to assess all of the potential variables, and unexpected drug-drug interactions can result in safety or efficacy changes that can jeopardize a specific clinical trial or even kill a drug in the late clinical stages." The new module supports early decision-making on viable drug candidates by enabling researchers to compare metabolizing enzyme and transporter activities across similar drugs. Metabolizing enzymes and transporters are key factors in how quickly or slowly a drug is absorbed, metabolized and cleared. Because of these, unexpected interactions can cause too much or too little of the drug to remain in your system. Too much can result in overdose-related toxicity; too little can result in poor efficacy. The ability to compare similar drugs and anticipate interactions will reduce the chance of late-stage failures, which can cause pharmaceutical companies billions in drug recalls and legal action or – worst of all – compromise patients' safety. Currently, information on drug-drug interactions is hard to collate and analyze and is not always normalized for comparison, making the process not only labor- and cost-intensive but open to critical error. PharmaPendium's Metabolizing Enzymes and Transporter Module allows for rapid comparison of data from several trusted sources, including approval documents from the FDA and EMA. It extracts human and animal in-vivo and in-vitro experimental data on metabolizing enzymes and transporters contained in preclinical and clinical studies, and applies it to the context of researchers' experiments. Using the Metabolizing Enzymes and Transporters (MET) Module, you can find all drugs that induce, inhibit or are a substrate of a particular metabolizing enzyme or transporter. Simply go on the MET Module home page and select the parameters that are of interest to you. PharmaPendium is used by nine of the top 10 largest pharmaceutical companies in the world. "This is one of those rare products where customers are literally stunned," said Albert van der Wal, Product Sales Manager at Elsevier. "They're amazed with what they can do." Dennis Lee is a manager for Corporate Relations at Elsevier. Previously, he worked as a business analyst in the office of Vice Chairman YS Chi and as a multimedia writer for global communications. 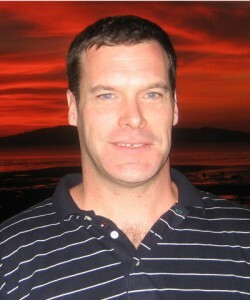 He received a BA in English from Princeton University .